When everyone is discussing intensely about the ongoing elections and the changing political equations, many are wondering about the whereabouts of Mega Star Chiranjeevi. Despite the pressures from all quarters and also the presence of his own brother Power Star Pawan Kalyan contesting the elections with his party Janasena testing its luck, Chiranjeevi surprised with his silence. He, after enjoying vacation in Japan along with his wife Surekha, silently cast his vote during the elections and according to the latest he is now busy shooting for his upcoming entertainer Sye Raa Narasimha Reddy in the exotic locations of Kerala forests. Makers are enacting high voltage action scenes on Chiranjeevi and others. The Kerala schedule will be for ten days and after which they will shoot key scenes in Hyderabad. The shooting will be wrapped after the completion of patchwork and post production will start from May. The makers are spending more than 25% of the film budget on the action scenes which they feel will be the highlight in the film. 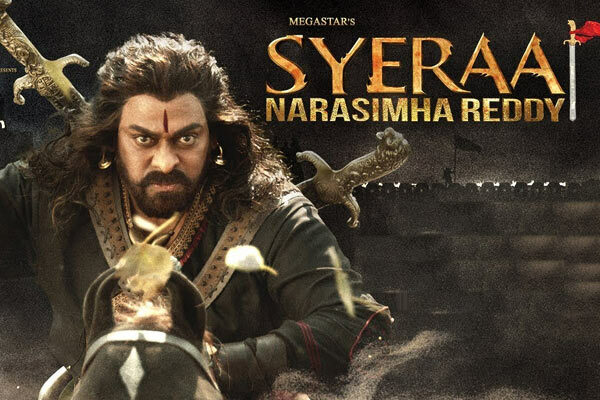 The film which is a biopic on freedom fighter Uyyalwada Narasimha Reddy is directed by Surender Reddy and produced by Chiranjeevi’s son Ram Charan. Sye Raa also stars Big B Amitabh Bachchan, Nayanthara, Tamannaah, Sudeep, Jagapathi Babu and Vijay Sethupathi in important roles.